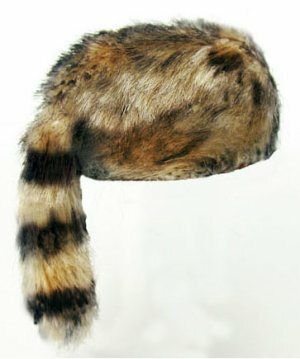 Furry coonskin cap, just like Daniel Boone's. Handcrafted in the U.S. by Nantasy Fantasy. Cherry and Maple Blanket Chest, signed "2 Ds"